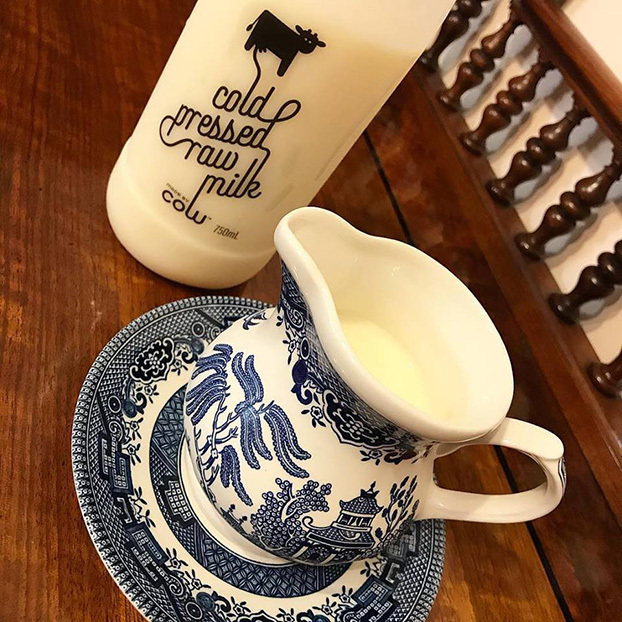 Made by Cow is 100% Jersey milk sourced from a single, award-winning Jersey herd located on the pristine NSW South Coast. It is the closest thing to raw milk! It has almost the same nutritional profile as raw milk – high in calcium, high protein, high omega-3 and live enzymes. 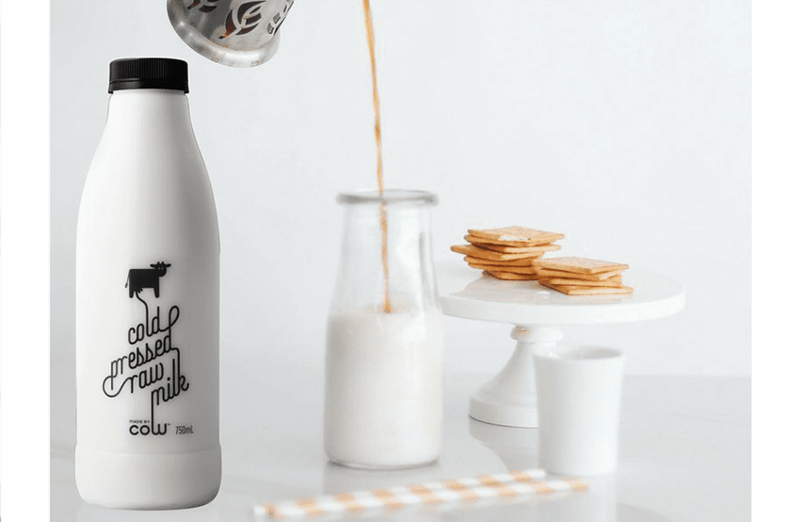 Made by Cow uses a patented, world-first cold pressing technique that uses a High Pressure Processing (HPP) machine. This method removes all the harmful bacteria from the milk while being gentler on milk’s nutrients. It isn’t homogenised and is contained and sealed throughout the HPP method. There is no opportunity for any stray airborne contamination to get inside the bottle once it has been pressurised, which extends the shelf life. No pesticides or petrochemicals are used on the farm, and no hormones are given to the cows. Made by Cow also don’t add any preservatives, additives or permeates to their milk. Jersey cows naturally produce more of the A2 protein, making it easier for some people to digest. Jersey milk is extra creamy and extra delicious due to its higher fat content. The Jersey herd is predominately grass fed, which means the cows naturally produce milk with higher levels of carotene.